As for any inner meaning or 'message', it has in the intention of the author none. It is neither allegorical nor topical. 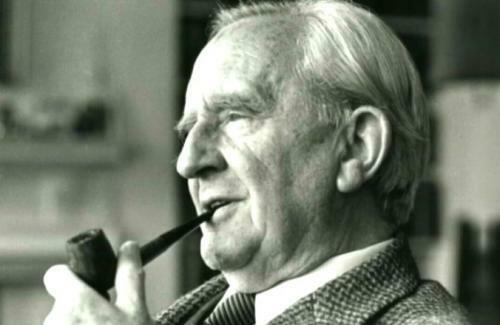 As the story grew it put down roots (into the past) and threw out unexpected branches: but its main theme was settled from the outset by the inevitable choice of the Ring as the link between it and The Hobbit. The crucial chapter, 'The Shadow of the Past', is one of the oldest parts of the tale. It was written long before the foreshadow of 1939 had yet become a threat of inevitable disaster, and from that point the story would have developed along essentially the same lines, if that disaster had been averted. Its sources are things long before in mind, or in some cases already written and little or nothing in it was modified by the war that began in 1939 or its sequels. The real war does not resemble the legendary war in its process or its conclusion. If it had inspired or directed the development of the legend, then certainly the Ring would have been seized and used against Sauron; he would not have been annihilated but enslaved, and Barad-dûr would not have been destroyed but occupied. Saruman, failing to get possession of the Ring, would in the confusion and treacheries of the time have found in Mordor the missing links in his own researches into Ring-lore, and before long he would have made a Great Ring of his own with which to challenge the self-styled Ruler of Middle-earth. In that conflict both sides would have held hobbits in hatred and contempt: they would not long have survived even as slaves.